As real estate’s digital era continues to mature, it’s increasingly critical that brokerages adopt tools that allow them and their agents to complete transactions in a secure, integrated and mobile environment. By digitizing their transaction workflows, brokerages can ensure they and their agents comply with company requirements, establish and ensure standard processes, visualize powerful performance and pipeline data, access critical information, take action from anywhere and integrate all their transaction work into one centralized hub. That’s why leading brokerages are investing in digital transaction management to provide themselves and their agents a secure online transaction hub that centralizes the full transaction journey in one system, from lead to close. These systems allow all parties in a transaction including clients, agents, loan officers and home inspectors to collaborate on deals in a secure, mobile platform. As a cloud-based platform, digital transaction management solutions give brokers, agents and clients on-demand visibility into their transactions. Transactions are a critical, central part of real estate brokers and agents’ workflows, but they are not the only technology in their real estate toolbox. The leading digital transaction management platforms also typically have APIs and partner networks so that brokers and agents have access to their business-critical systems such as marketing tools, form-filling technology and accounting systems in one place. In addition to making agents the center of the transaction, the top digital transaction management systems often eliminate the need for brokers and agents to enter information multiple times in different systems, which reduces errors, saves time, lowers costs and simplifies their work lives. This allows agents to focus on their clients and their brokers to visualize deal flow and ensure compliance in ways they haven’t been able to before. 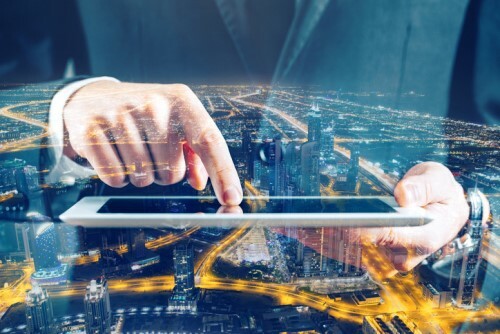 Read on to discover the ways brokers are using digital transaction management to get results and from industry thought leaders about the importance of this new technology for real estate.